Like other spices, cloves can also be used to make an essential oil. 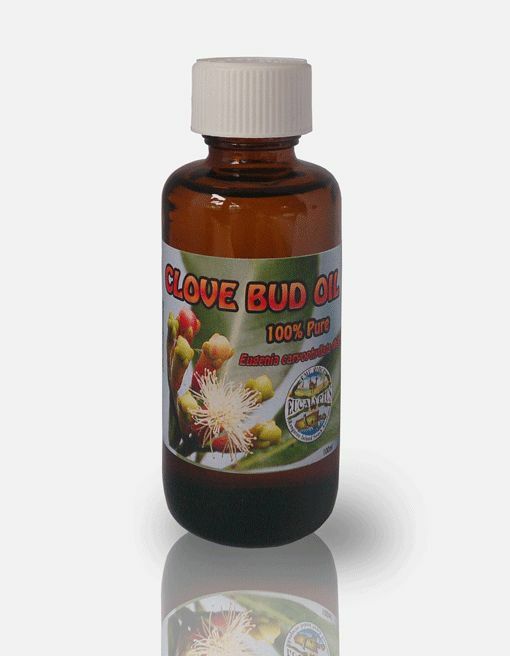 While it is not as popular as other plant oils, I believe there are numerous reasons why you should consider having clove bud oil at home. It can be used for killing mould and for the body. During the wet summer months, high humidity and heavy rains can lead to mould in any areas of your home that are affected by moisture. A popular natural cleaning remedy for this is clove oil. But before you get to work mixing up your own clove oil solution, here are six things to know. One of the main reasons oil of clove is a popular mould remover is that it actually kills the spores, rather than just bleaching and hiding them. If you only bleach the mould, all the health risks (including allergies and asthma problems) will still be there whether you can see the mould or not, and it is likely to grow back in a few days. Inhaling mould spores can be dangerous, especially for those that suffer from asthma, so wear gloves and a mask when cleaning it and avoid handling mouldy items directly. Cleaning expert and co-author of Spotless, Shannon Lush, recommends oil of clove for cleaning mould from hard surfaces. She suggests you first clean the surfaces with a mixture of 4 litres of hot water, 1 tablespoon bicarb of soda and half a cup of vinegar. Then, mix a quarter teaspoon of clove oil per litre of water, put it in a spray bottle, lightly mist on mouldy surface. Leave for 20 minutes and wipe off. Spray again and leave. It will take between 24-48 hours for the mould spores to dry and drop off. While clove oil has been long recommended for killing mould spores, Nicole Bijlsma, naturopath and IICRC accredited mould remediation technician, says she doesn’t recommend it because the focus should be on the cause of the mould growth which is moisture. Regardless of whether you use clove oil to kill mould, it is still important to address the root cause of moisture such as excessive condensation, inadequate ventilation, inappropriate drainage, plumbing or roof leaks, flooding or high humidity. To rid mould from hard surfaces, she recommends an 80% white vinegar to 20% water mix with a microfibre cloth which is either discarded after use or rinsed twice (in two separate buckets – one with 50:50 white vinegar to water ratio and the other with just clean water) to prevent re-contamination. The predominant chemical constituents found in all three types of clove oils are eugenol, eugenyl acetate and caryophyllene. However, these three types all vary in their eugenol content. For instance, clove leaf oil contains very low levels of eugenol, compared to clove bud oil. Oil derived from the clove stem contains the highest amount of the compound, which makes it unsuitable for external applications. Clove oil owes much of its health benefits to eugenol, which make up to 90 percent of the oil. This compound provides potent antiseptic and anti-inflammatory benefits and is also responsible for preventing cloves from spoiling. Thanks to this chemical compound, this plant oil is very effective against dental pain, sore gums, mouth ulcers, cavities and bad breath. It is because of the compound that clove oil, as well as other spice oils that contain eugenol (like cinnamon, basil and nutmeg oils), are added to dental products, insect repellents, perfumes, foods and even pharmaceutical products. It can also contribute to your digestive health and help address problems like hiccups, indigestion, motion sickness and excess gas. Apart from helping support your metabolism, clove bud oil can also help relieve stress and help lessen mental exhaustion. Some use it to tackle neural health problems, such as depression and anxiety. The oil can also work as an aphrodisiac and treatment for insomnia. Cloves anti-septic and pain relieving properties are attributed to its eugenol, eugenyl acetate, b caryophyllene and a humulene content. These components are found in all cuts of Clove oil but are most balanced in the Bud.